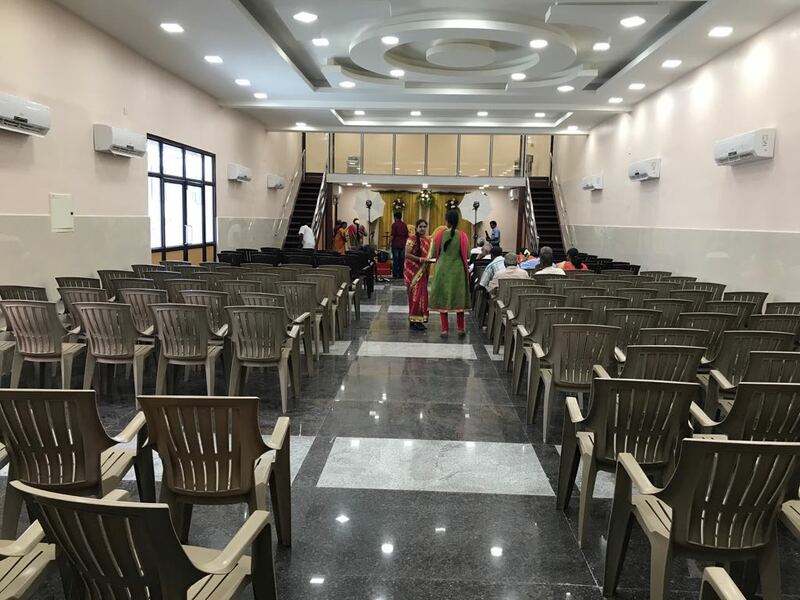 Best Air Conditioned party halls located in anna nagar, Chennai. 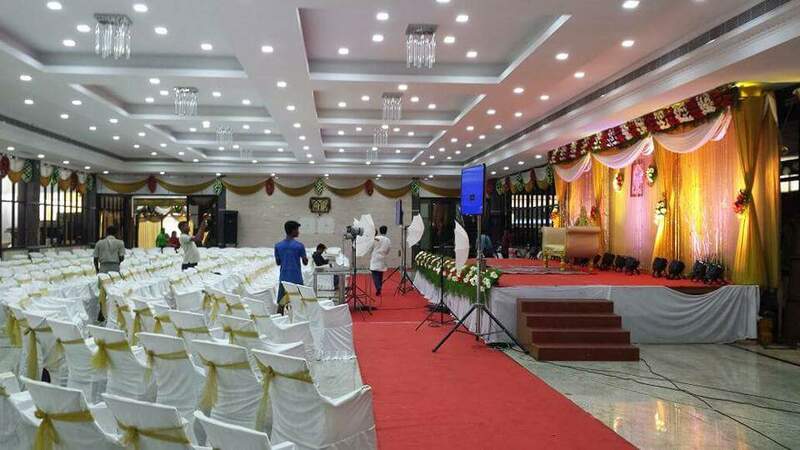 The exceptional party corridor is the faultless venue for all birthday, engagement, farewell, graduation and Betrothal function with 50, 100, 200, 250 Seating capacity and 200 seats in dining. 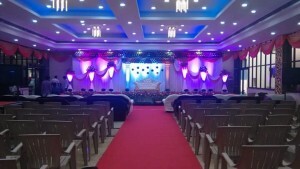 The banquet halls located in 689/554, P.H.Road, Aminjikarai Chennai. Party halls provide friendly staff service, Cleanliness to make the function grand success. Birthday events are the most anticipated and yet now and then, the most troublesome festivals to arrange. There is no other dazzling, agreeable and enchanting relationship a contrasted and an effective Betrothal function! Along these lines, you should make a right choice for the party halls in annanager gathering scene. 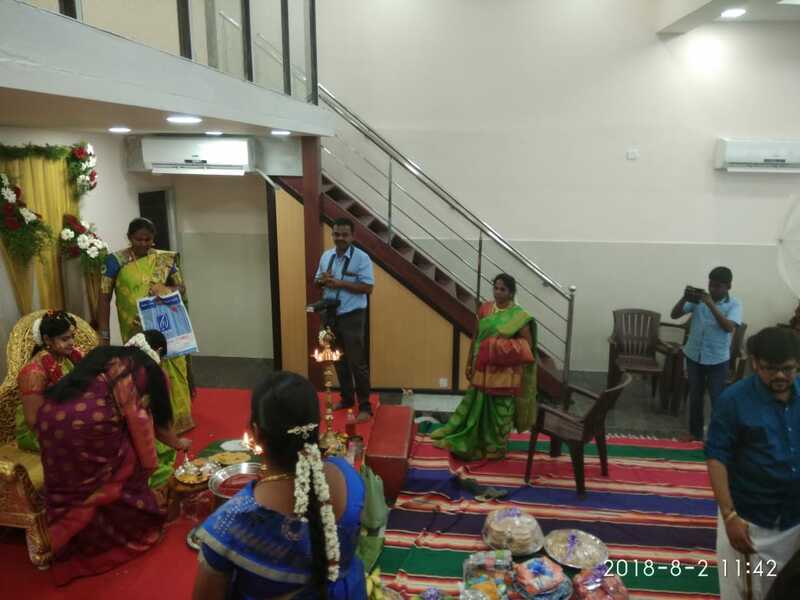 A farewell party corridor annanagar is an awesome approach to commend the change of and relate from work into retirement. Engagement party is an imperative piece of commending a wedding. In the event that you pick an engagement halls in annanager there are various decorum factors that you should contemplate. A standout amongst the most essential choices to make while masterminding any social events is the setting. The remembrance party is continuously the celebration of two particularly treasured lives that have driven forward through exceptional conditions and built up the entire better for it. Partyhalls has exceeded all our expectations and delivered a high standard of customer service. The general executive worked with us every step of the way to ensure that every detail of our wedding was composed and planned in a timely fashion and to our standard. The wedding lobby looked absolutely beautiful, and the food was phenomenal!! We both felt very calm & relaxed at the reception and sensed that everything was taken care of. I don’t know how to thank you or even where I should start to wish you. Everyone was so nice, understanding and helpful. You definitely left me speechless with the interior design of your corridor and the service provided on the day of my wedding. Everything was just perfect. Thank you so much for everything. You and your staff were truly incredible. I don’t know how to thank you or even where I should start to wish you. Everyone was so nice, understanding and helpful. You definitely left me speechless with the interior design of your corridor and the service provided on the day of my wedding. Everything was just perfect. Thank you so much for everything. You and your staff were truly incredible. The party corridor was incredible, everything about the party lobby was ideal. The food prepared was traditional and tasty, the rooms were clean and comfort. Thanks to all staff that all are worked for making the party more joy. Thank you very much for making our wedding Celebration so perfect! The Birthday Place looked beautiful, the service was impeccable and the food was outstanding! We literally loved working with you in planning our reception. You made many helpful recommendations that were right on the money. It was a fabulous wedding reception that we will remember and rave about for a lifetime! Thank you very much for all of your help and support of our engagement occasion. Your staff was absolutely amazing to work with – they were friendly and professional and accommodated every request within moments. Thank you very much for all of your help and support of our engagement occasion. Your staff was absolutely amazing to work with – they were friendly and professional and accommodated every request within moments. Thank you so much. We wish to express our sincere thanks to you and your staff for your superb service in the reception for the wedding of our daughter, Raghavi. On our primer visit with you, we felt such certainty that the services at Partyhall would meet our desires. This certainty only grew over the months to follow as we developed our menu and occasion. We wish to express our sincere thanks to you and your staff for your superb service in the reception for the wedding of our daughter, Raghavi. On our primer visit with you, we felt such certainty that the services at Partyhall would meet our desires. This certainty only grew over the months to follow as we developed our menu and occasion. My husband and I would like to thank you for the most beautiful wedding reception any bride and groom could hope for. Thank you for your Assistance and proficiency in managing our event. Your beautiful space lends itself to our Bazaar Style Evening. Your processes manager was delightful to work with and many thanks to the rest of the employees for all the extras they given. Thank you for your Assistance and proficiency in managing our event. It was a great success and we raised a substantial amount for our charity trust in Chennai Your beautiful space lends itself to our Bazaar Style Evening. Your processes manager was delightful to work with and many thanks to the rest of the employees for all the extras they given. Than you once again! The party lobby was very compact and neat for the functions. Staffs were very friendly and foods were prepared very neatly. This party corridor is located in a busy area very near to market place. Thanks a lot for making the function a grand success. Thank you for making our daughter and her husband's wedding reception such a huge hit. The tables were classy, the decorations tremendous, and the food was AWESOME! It was such a relief to not have to worry about anything and enjoy the night whole. We can’t find words to explain how happy we are! We are so very glad that we had our Betrothal function was celebrated here. Thank you for your exceptional support to complete our function. Exceptional facilities, good experience with the party lobby staffs with great services at the party time. The corridor is spacious as well all my guest were happy the enjoyed to stay there because it’s located at the center of all shopping areas. Thank you for making our wedding ceremony a huge achievement. You were all so cooperative and enduring from starting to end. The food was beyond our expectation, the service was astonishing and the staff did an brilliant job keeping the schedule flowing. Thank you for making our wedding ceremony a huge achievement. You were all so cooperative and enduring from starting to end. The food was beyond our expectation, the service was astonishing and the staff did an brilliant job keeping the schedule flowing. Thank you so much for everything! One of my best birthday party halls in Chennai located very next to market places, easy for transportation. Price can be within your budget. They provide Variety of breakfast and services on our request. Great value for money thanks a lot. Thank you very much for all of the effort you put into making our wedding reception so special for us. It was an evening that we won’t forget in our life. Everything from the astonishing food, to the setup of the corridor, to the service was perfect and that is a direct result of the hard work you put into helping us plan and execute our enormous day. As your customers, you really made us feel extraordinary as a bride and groom and we literally appreciated that. All of our guests also had a tremendous time, so we hope to attend lots of weddings at Partyhalls in the future – hopefully some of which will have been mentioned to you by us. Thank you very much for all of the effort you put into making our wedding reception so special for us. It was an evening that we won’t forget in our life. Everything from the astonishing food, to the setup of the corridor, to the service was perfect and that is a direct result of the hard work you put into helping us plan and execute our enormous day. As your customers, you really made us feel extraordinary as a bride and groom and we literally appreciated that. All of our guests also had a tremendous time, so we hope to attend lots of weddings at Partyhalls in the future – hopefully some of which will have been mentioned to you by us. Thank you again for everything! Thank you for all your assistance and planning to make our birthday function literally beautiful. It was Awesome! We recognize your time and the effort you provided us to make a complete day. The venue was attractive and the food was astonishing. Our guests were overpoweringly impressed and the manager on duty was a desire to deal with. Thank you for all your assistance and planning to make our birthday function literally beautiful. It was Awesome! We recognize your time and the effort you provided us to make a complete day. The venue was attractive and the food was astonishing. Our guests were overpoweringly impressed and the manager on duty was a desire to deal with. Thank you all for making our wedding reception truly magical and unforgettable evening. The dinners were not only outstanding, but the largest portions we had ever seen at a wedding reception! Thank you so much from the bottom of our heart for making our wedding planning so easy and flawless. We had the most beautiful reception all in part to sharing our vision, your meticulous attention to detail, and your wonderful staffs also. Our day turned out flawless and we couldn’t have asked for more. It was an extraordinary delight to have worked with someone and a venue so thoughtful and dedicated to their craft. Thanks so much to everyone at Partyhalls. Thank you so much from the bottom of our heart for making our wedding planning so easy and flawless. We had the most beautiful reception all in part to sharing our vision, your meticulous attention to detail, and your wonderful staffs also. Our day turned out flawless and we couldn’t have asked for more. It was an extraordinary delight to have worked with someone and a venue so thoughtful and dedicated to their craft. Thanks so much to everyone at Partyhalls. 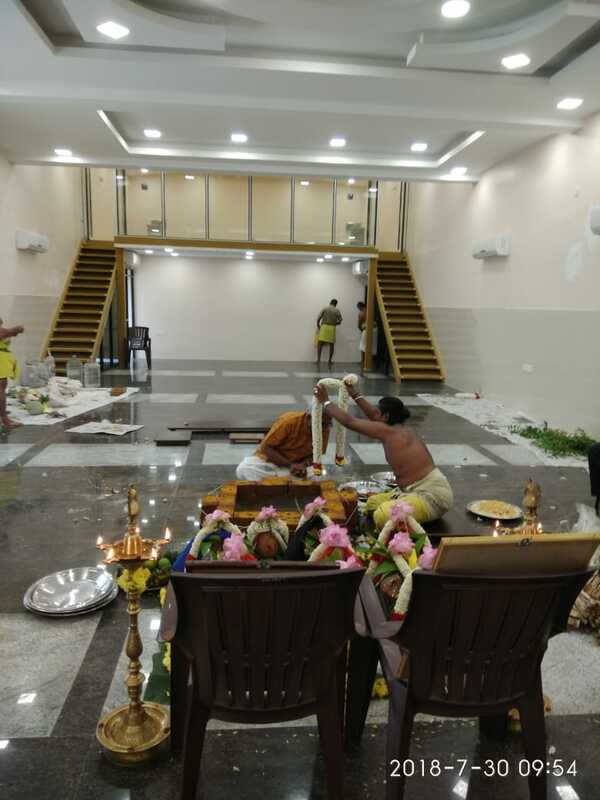 One of the classiest party halls in anna nagar located at a very well connected place. Entrance of the venue is very next to market area. The corridor is also class with excellent staff support. Thanks to all of them to make the party precious. I like this party corridor very much with good foods, lobby are spacious. Air conditioned is very good for that hall. Ample car parking for more than 200 vehicles at function time is awesome. I would recommend this venue for all. WOW! What a beautiful reception you gave us. Best food we've ever had at a wedding, and great efficient, personal, accommodating service! We can't perhaps the express in words how delightful everything was! We wish we had an excuse to do it all once again! I will highly recommend to all my friends to celebrate their birthday, engagement, farewell, graduation and Betrothal function here. When we walked into our reception, I was literally amazed at how gorgeous everything looked! Thank you for making our most valuable wedding day everything we ever wanted and more! 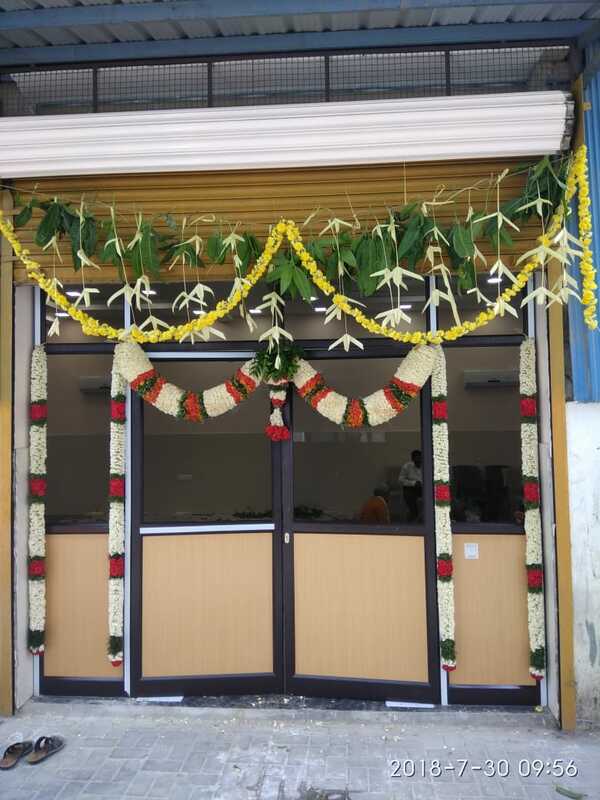 Party halls with bright white interiors located at anna nagar. The air conditioned lobby has a seating capacity of over 200-250 and floating capacity of 500. Events at this party corridor look splendid because of its colorful curtains with flowery decoration designs can also make the lobby to be a royal venue. Adequate facilities provided by party halls to complete the guest needs. Generator back up is provided by the management during the power failure for uninterrupted parties. Ramp access is provided for guest’s convenience. There is also parking facility for 100 two wheelers and 100 cars at same time of the function. Catering services is also available which includes veg and non veg food with your choice in high quality. Outside caters are also allowed at guests requests. Party corridor is one of the best venue to organize your events. 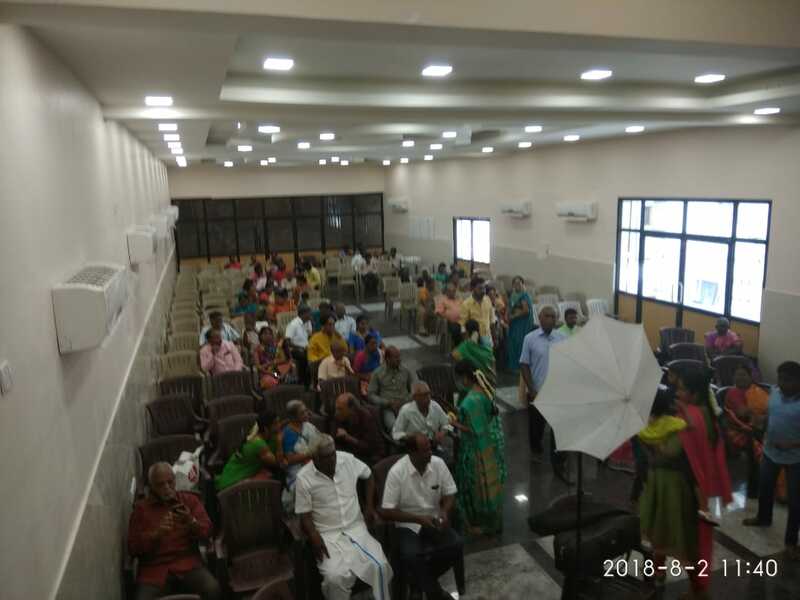 Mini AC party halls in kilpauk, purasawalkam attached with dining hallway which are comfortable to host meetings, birthday parties and conferences. Our kilpauk party halls are stylish and elegant to cover the various needs of our guests. Good Size small party lobby for Betrothal, Reception, Seemandham, and Birthday parties. kilpauk party corridor is in very nice locality with close access to market. We offer gathering lobby rentals at sensible cost. Our small than normal party lobby is accessible for all events. We are centered on giving party corridor benefits that are contemporary and flexible with the most elevated amounts of consumer loyalty and we will do all that we can, to live up to your desires. Consumer loyalty is our Priority. 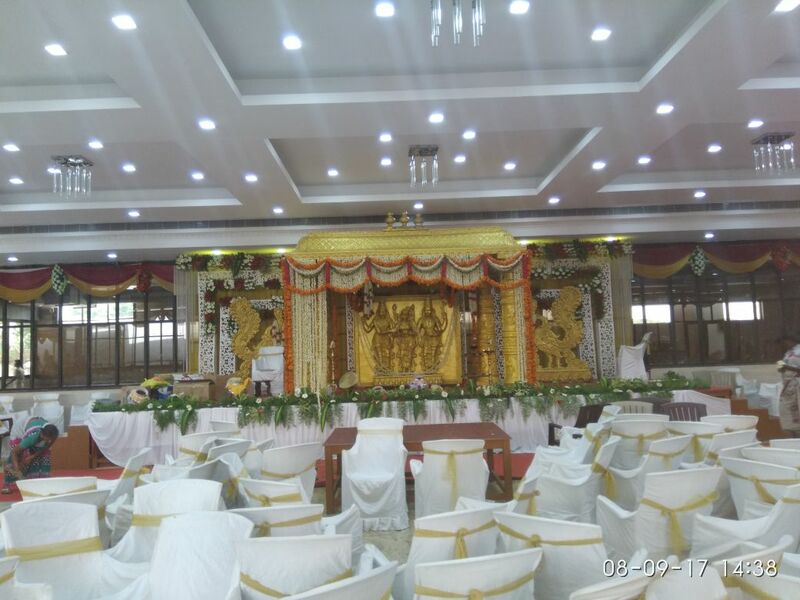 Some of the top special events and wedding venues by in Chennai can be listed by geographical region and provide some of the most memorable function locations in the world. Dining rooms have been around for a long time. Medieval dining would have been in vast halls, which were cold, draughty and probably very noisy. Dining room furniture was basic, solid and functional. Huge open fires, stone floor and very little comfort would have been other features of medieval dining. Gradually there was a shift away from the large dining halls to smaller more compact and no doubt cozier parlors. Initially the room would have been next to the great corridor, but grew in popularity as somewhere to dine. You can of course still go for grand dining style if that's what you wish for. A beautifully decorated and furnished room can be very grand looking with the right dining room furniture. A house is complete only when we have sufficient spaces for all our activities, especially for eating. However, a function area in this regard will need to have the proper styling and equipment’s for making it as comfortable as possible, if we need to truly enjoy the completeness of the same. We need a good sized bed with soft cushions and light colored designs around the room to truly enjoy your relaxing moments. An even more important place in the house is your dining place. They need to be provided with the perfect atmosphere for enjoying a decent meal comfortably. Area ought to be among your central concerns while picking between dining place. In case you're structuring an occasion around a tradition, you don't need your partners and associates to traverse the city into suburbia to touch base at the area you've leased for the supper. Moreover, in the event that you live in suburbia of a noteworthy city, it may not bode well to make the majority of your visitors drive into the city for a child shower. While exemptions can be made, accommodation for your visitors ought to be viewed as when you take a gander at areas. There are likewise pragmatic contemplations. An occasion office in suburbia may have substantially more stopping, though one in the city can give less demanding access to inns. Nobody needs to hold an occasion in a scantily brightened, plain dining room. The more extravagantly enriched the place is, the less cash and time you'll need to spend putting your very own beautifications up. Obviously, this is a twofold edged sword. On the off chance that the feast rooms you're taking a gander at are too particularly embellished, they may not meet your requirements. For example, an eating foundation with red, white, and blue stylistic theme might be ideal for a political pledge drive, however it will appear somewhat odd in case you're holding a wedding gathering there. Focus on the stylistic layout and converse with the administration to perceive what should be possible to tailor the zones tasteful to your arranged occasion. You would prefer not to hold your eating occasion in a territory where individuals from different gatherings or visitors meandering the lodging can basically walk around and sit down at an unfilled table on the off chance that they so pick. Nor do you need your occasion to end up an incidental blended issue with another couple's wedding gathering on the grounds that the setting has no methods for legitimately cordoning off discrete meal zone. Ensure the office can furnish your festival with your very own setting and protection. 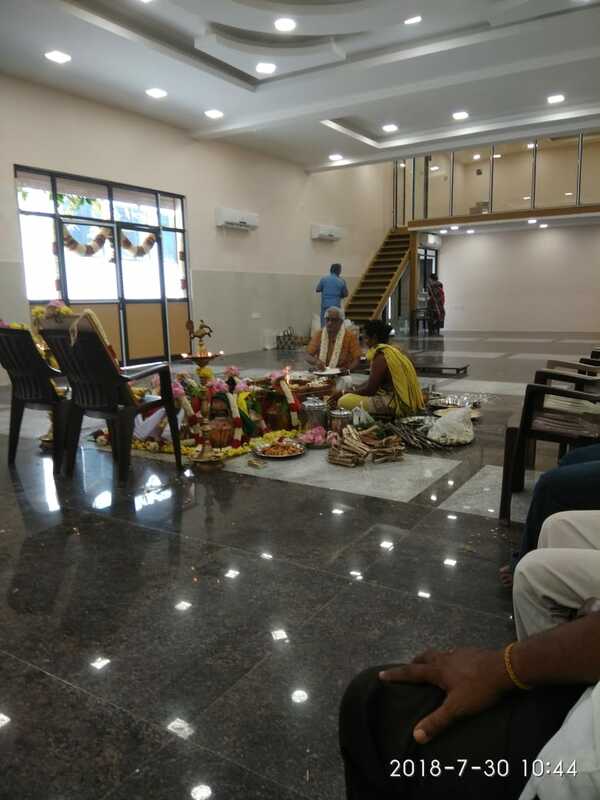 Party corridor is nestled within the city next to Aminjikarai Bus stand offers a convenient location for meetings, special events and conferences in Chennai. 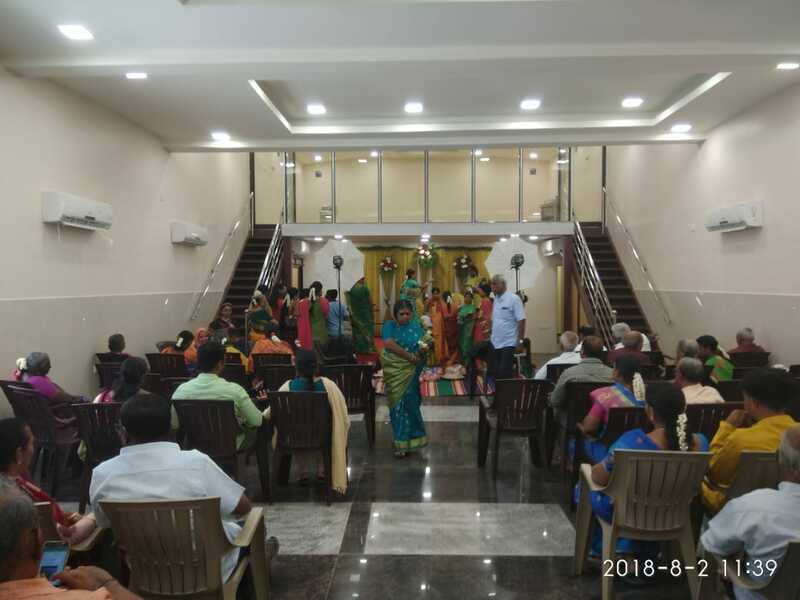 our party lobby is within 5 mins walking distance from the Shenoy Nagar Metro Rail Way Station and 5 min drive from party corridor in Anna nagar round tana. You need does not give parties providing food, they may in any case have the capacity to recommend some amazing Kilpauk organizations in the region. Think about Several Different Possibilities and obviously, make sure to search around. You may have had one specific place as a top priority for quite a while, yet you may essentially not realize what else is out there. Request that you're bridal organizer set up together a rundown of spots to take a gander at, or think of your very own rundown from the web. You might be shocked at the highlights offered by places you didn't much consider. 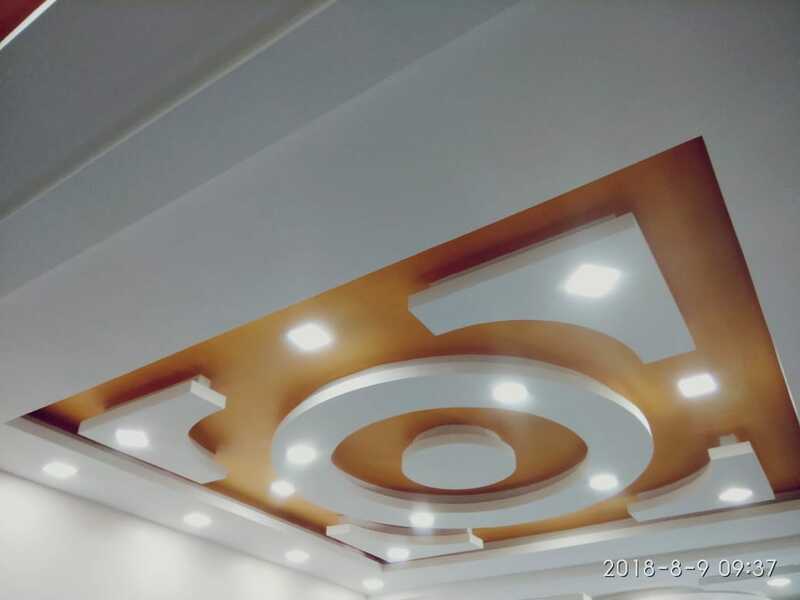 Also, by looking, you can get a thought of the cost of the majority of the spots nearby and ideally discover one that fits party halls effectively inside your financial plan in Kilpauk. When you have set your financial plan, the following stage is to make sense of what number of individuals you need to welcome and what number of you think will really go to. At times, your party venues financial plan may confine the measure of visitors you can welcome, so get an unpleasant thought of your list if people to attend and endeavor to be adaptable with the last head consider you search for the conceivable outcomes in your event venues. 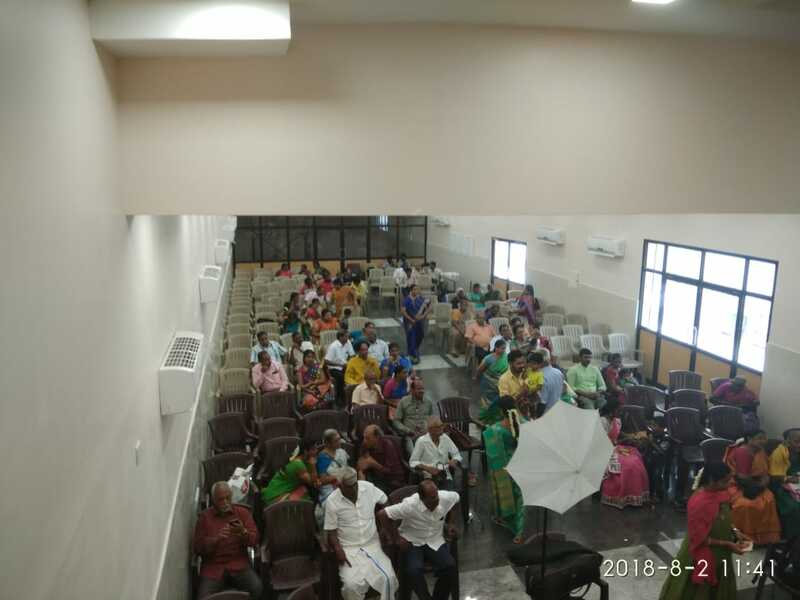 When arranging a vital birthday mini ac party halls in kilpauk, purasawalkam there is number of things that you should consider when choosing the mini Ac party halls in nungambakkam. Picking the correct halls can huge affect the accomplishment of the party and imply that your visitors leave having had an awesome time. A poor event venues decision can have the inverse impact. 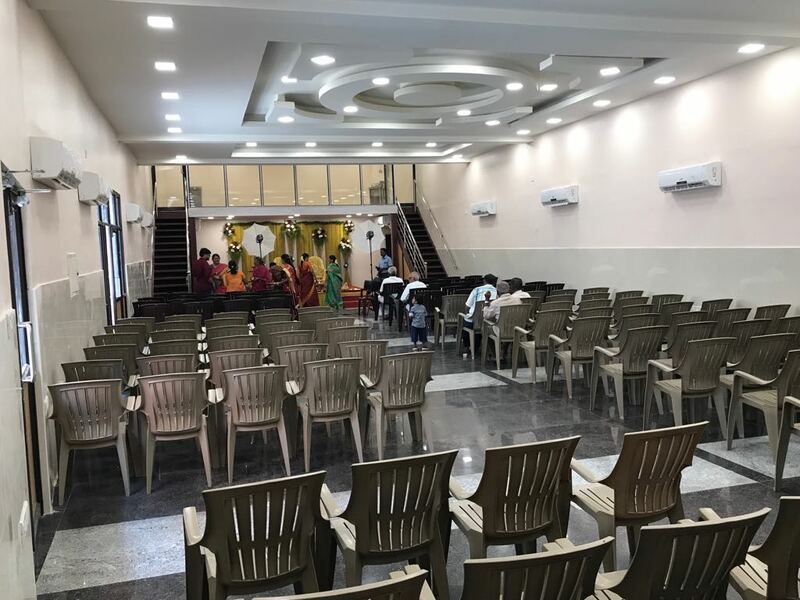 The main factor to consider is whether you intend to have the get-together at your own particular house or locate an option setting at which to hold the mini ac event venues in nungambakkam, chennai. 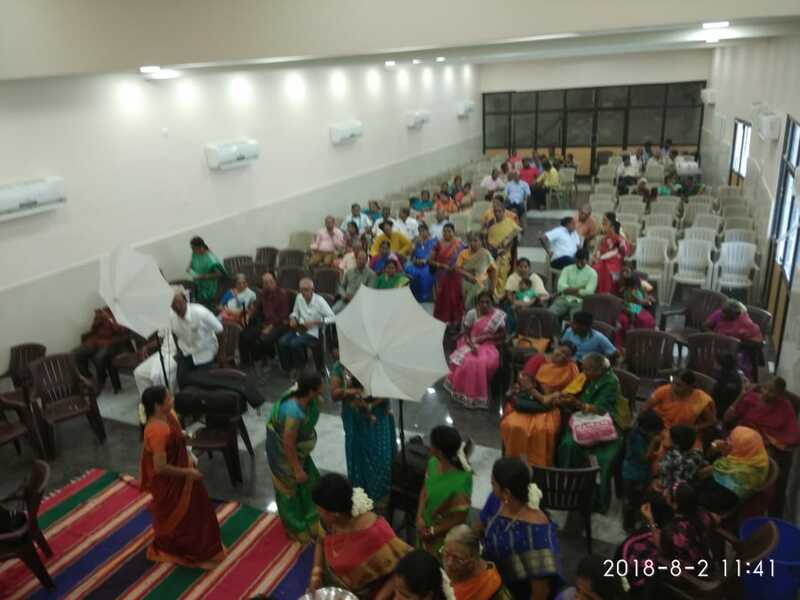 This will more often than not be driven by the quantity of individuals going to and you may locate that little family social events or merrymaking being held only for close family and companions can be held at home in party halls nungambakkam. 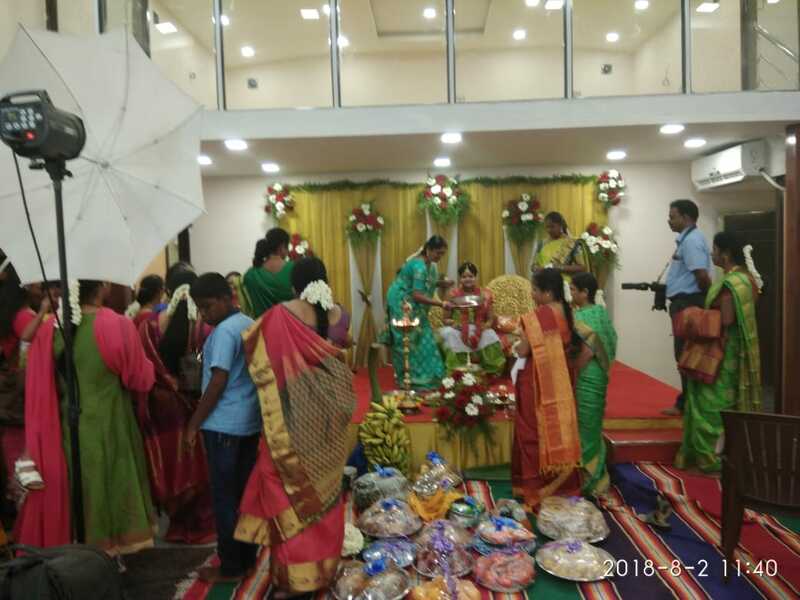 In the event venues event that your own particular home is too little to suit everybody then you should discover a setting that has adequate ability to crush everybody in party halls Kilpauk. This might be the situation at a youngsters' birthday parties where heaps of companions from nursery, school and so forth will go to Kilpauk. Ensure that the revelry setting is midway found and not very far for everybody to travel Kilpauk. You may have the choice to just contract the scene and self provide food for the party in Kilpauk. On the other hand, most settings give their own particular cooking and you can mastermind particular bundles relying on the cost per individual. It can be a smart thought to guarantee that the scenes has overnight settlement accessible, particularly for a night work where liquor is being devoured and visitors may have made a trip a separation to go to. 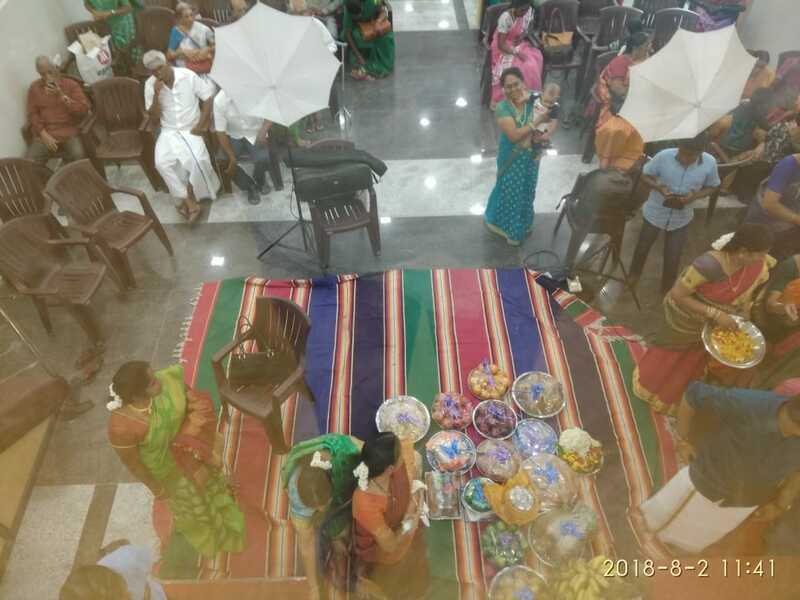 In the party event halls Kilpauk that the setting itself doesn't have settlement at that point guarantee that there are event venues close by and give visitors subtle elements, when conveying the solicitations, so they can book ahead of time. Guarantee that the location can oblige individuals with handicaps and furthermore has the vital declarations for spots, for example, indoor play focuses. On the off chance that you are procuring a halls at that point ensure that you are permitted to acquire your own excitement, for example, a live band, youngsters' performer, toys and so forth. There are a few distinct choices to have your child's birthday party get-together. The most vital thing however is to design well ahead of time. Most places will have some kind of gathering bundles to offer contingent upon the date of the party halls and the measure of your visitors. A few event venues may give diversion as a component of the bundle e.g. a circle move at lodging. Picking the correct scenes can be a troublesome piece of the social events arranging process. Fortunately there are various valuable sites and online assets that can aid the procedure and help you to locate your ideal event venues from the many festivity settings that are accessible. Children likewise love to make centerpieces. This improves their creative ability; as well as aides in empowering the youngster to interface with his or her inward gifts. You can visit a craftsmanship industrial facility or a blessings focus. This is a one of a kind approach to praise your tyke's extraordinary day. They can play recreations thereafter or give their artworks as trinkets for their friends and family. This will clearly fulfill the children and keep them occupied the whole day. 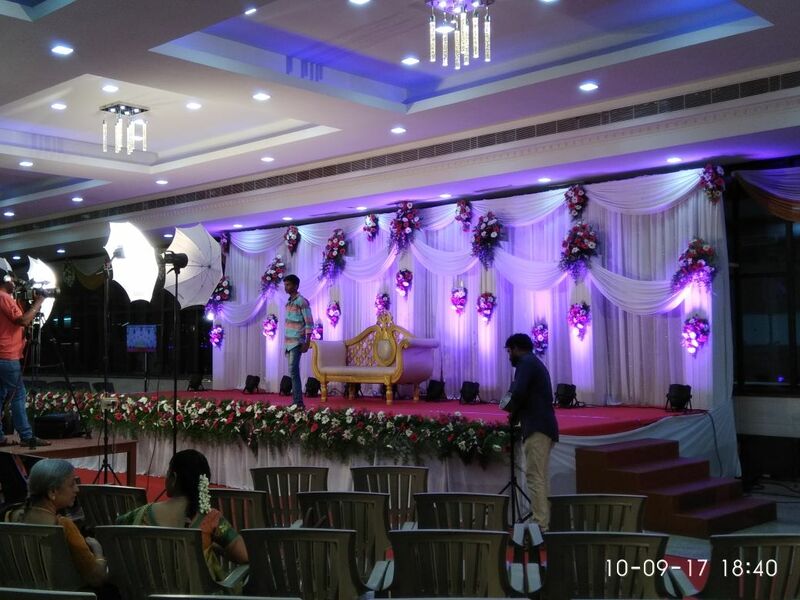 There is a host to arranging party halls in Anna Nagar that can give visitors a magnificent time. 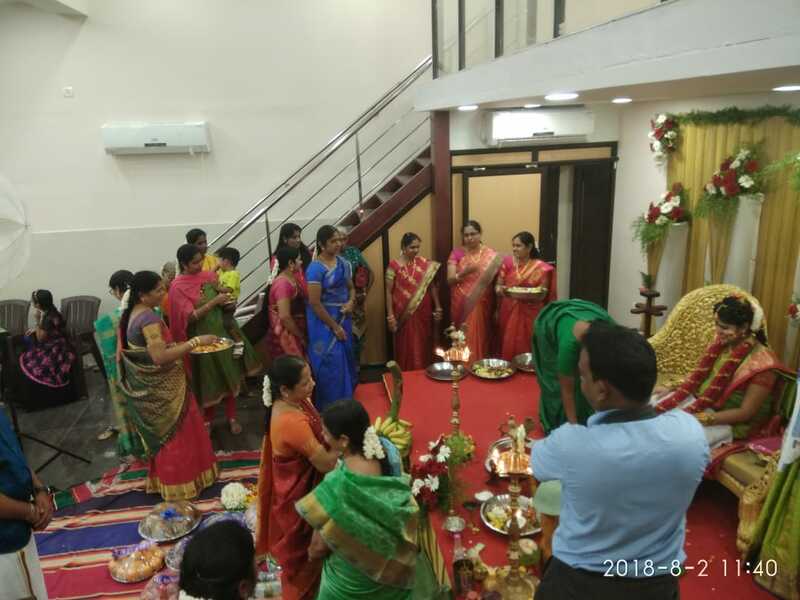 There are sure individuals whose party corridor solicitations are never dismissed and significantly pined for on the grounds that visitors realize that they will have an awesome time there in party halls Anna Nagar. These hosts for the most part expound to furnish guests with nourishment and excitement that keeps them enchanted. This party corridor hosts is something that a great many people wish they have. 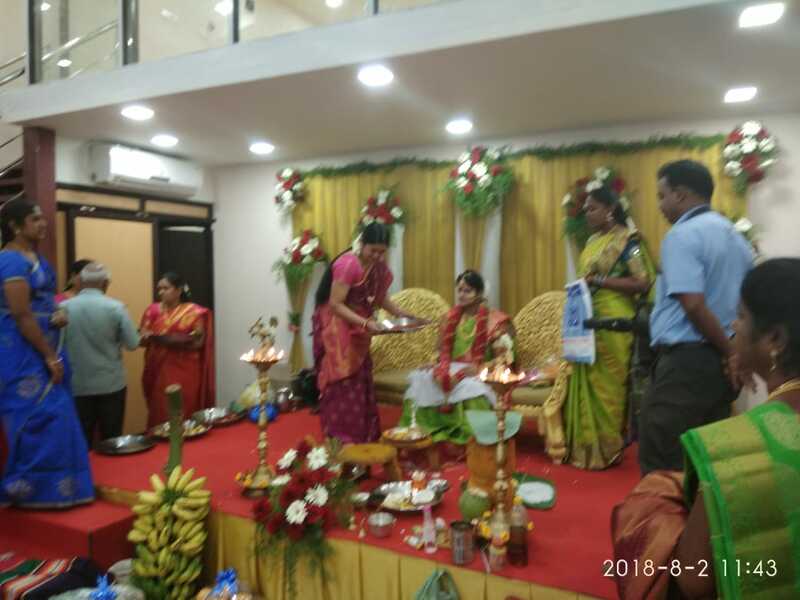 On the off chance that you need to ensure that you are a prevalent host also then you should begin by choosing the correct party Ac halls Chennai for your social events in Anna Nagar. Procuring the correct party halls settings is an easy route that numerous fruitful hosts utilize in light of the fact that there are sure Ac party lobby that have the whole foundation required for visitors to have an awesome time. This lessens the measure of weight on the host who can unwind altogether until the point when the community events starts and simply concentrate on blending with the party lobby visitors. 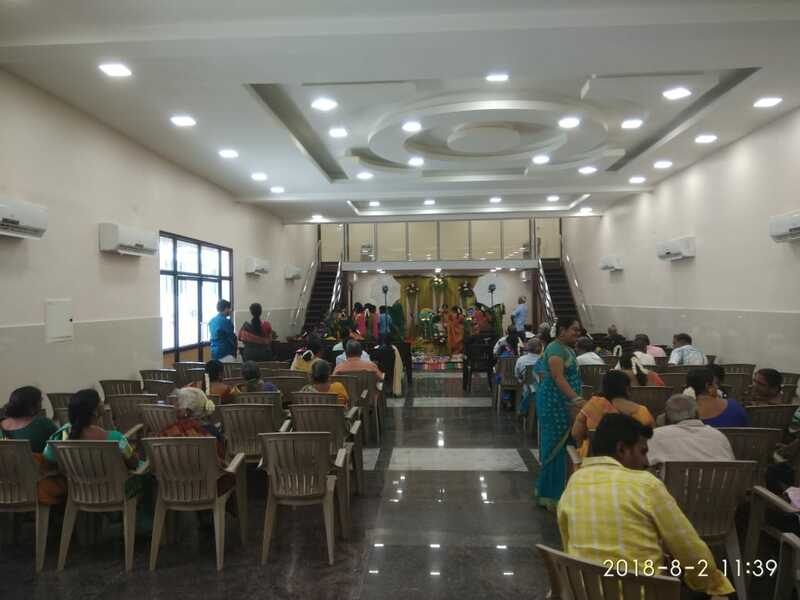 There are many spots where you could hold a party lobby gathering yet you ought to dependably check the qualifications of the general population who work it in light of the fact that the achievement of the party halls occasion can lie upon this. A devoted group of party halls experts who know how to sort out an assortment of topics and the excitement to coordinate each subject is a critical asset to have. These individuals will propose what topic would go best for every communal event and will guarantee that all points of interest are investigated with the goal that nothing is forgotten. 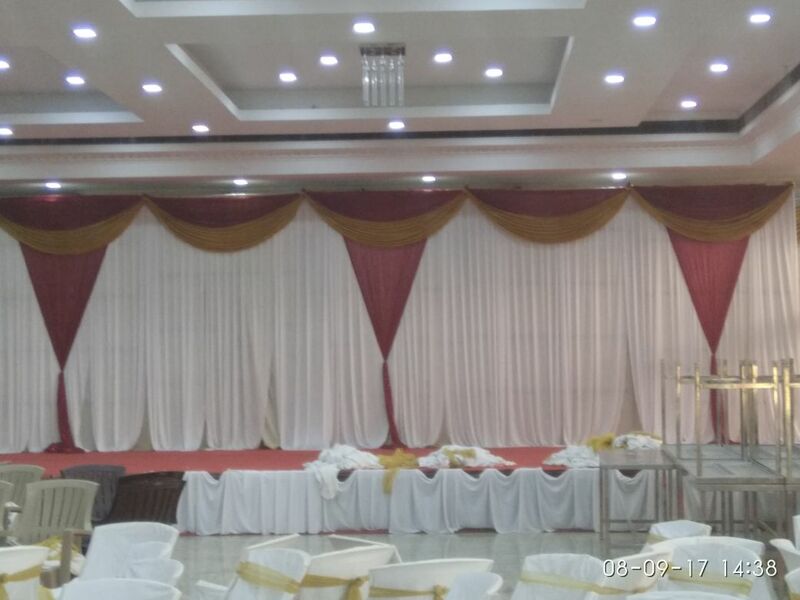 The group taking care of your party halls social events ought to likewise be extremely proficient with the goal that they don't pass up a major opportunity for anything imperative. This absence of meticulousness can make all game plans disentangle. Individuals will recall forget the sustenance they ate at a party halls gathering, regardless of the possibility that they overlook different subtle elements. 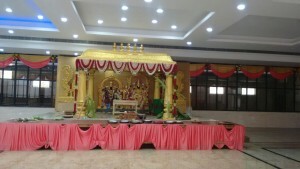 The best Chennai party Ac halls have fantastic providing food staff or possibly the capacity to sort out them for you. They likewise put resources into the best framework to guarantee that nourishment is arranged and served appropriately. Have a decent chat with the culinary specialist so you can convey data about the synthesis of your party and their uncommon dietary inclinations, assuming any, so game plans can be made in like manner. Ensure that you invest some energy to choose the best one out of the numerous potential party halls gathering settings you look at. 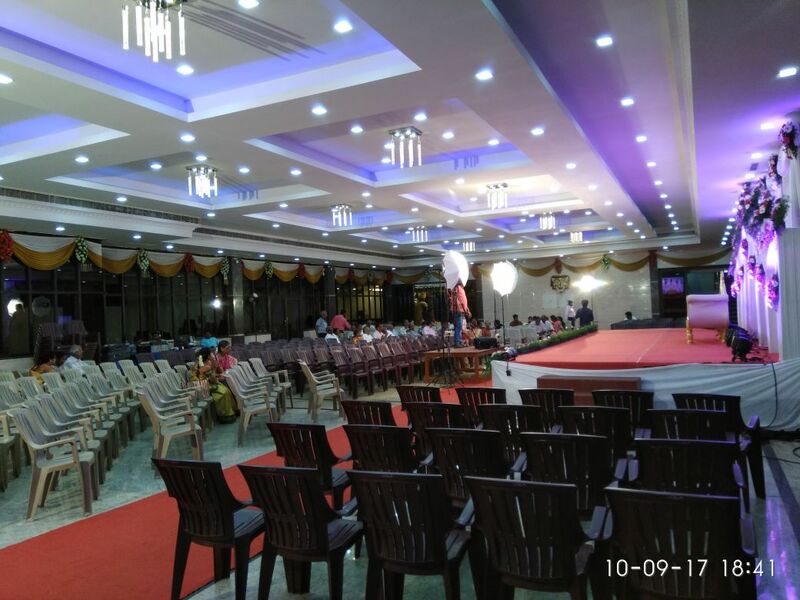 Select the party halls Chennai that inspires you most with its offices and additionally the energy and experience of the group that runs it whatever the social events, each host needs to feel that their party halls is of most noteworthy conceivable quality, and your decision of ac party halls is basic in this. The setting of an event halls occasion will be the main thing to establish a connection on guests and agents, thus it is imperative to ensure that this impression is a decent one. Besides, setting huge affects an occasion air and by expansion the guests and representatives that go to. Proficient settings are intended to influence guests to feel great and nurtured, basic in their happiness regarding the patty corridor social events. Higher end ac party halls likewise give that additional component of extravagance, an exceptionally vital element for social event planning to awe. 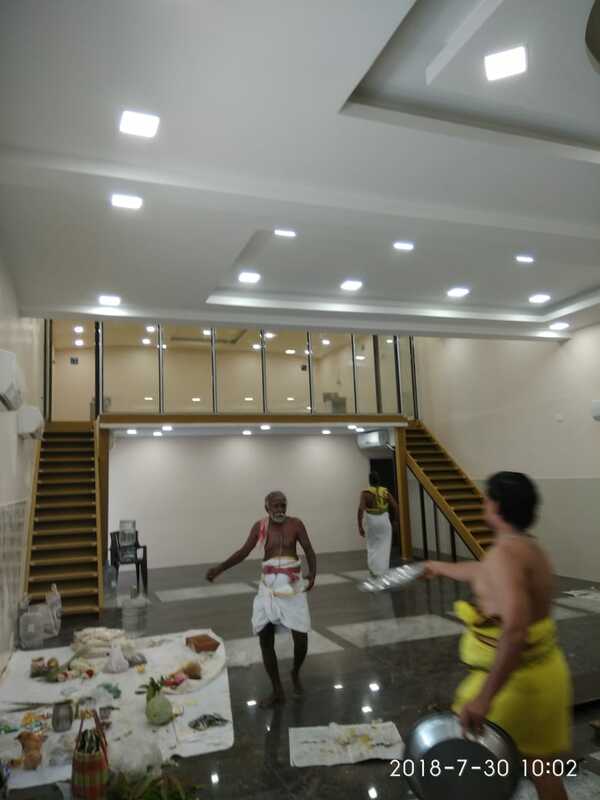 There are a few Mini party halls purasawalkam offering diverse amenities and areas. 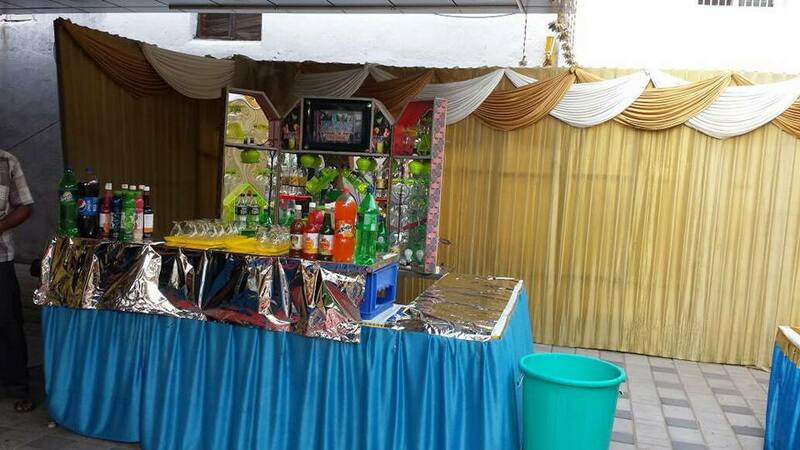 party halls amenities in purasawalkam can be found in any city or state. 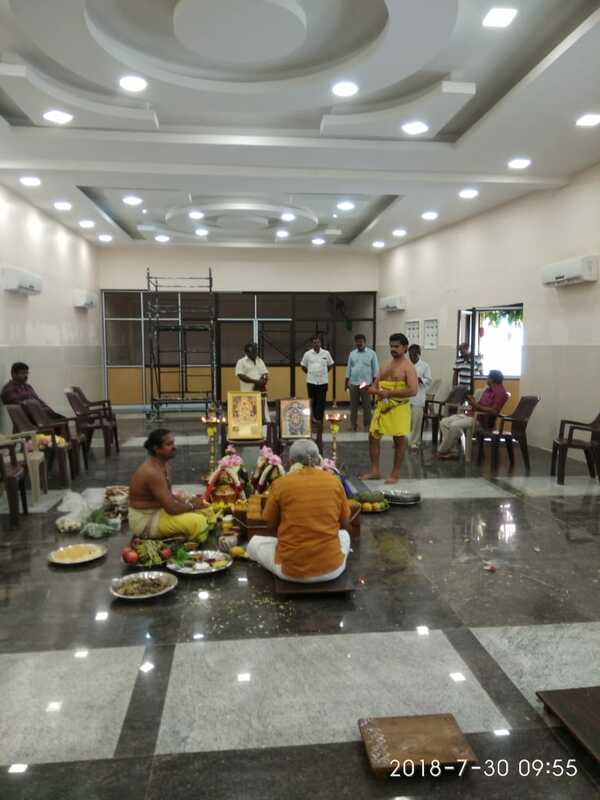 Whatever mini party halls in purasawalkam or event you are arranging, you will without a doubt locate a decent setting as per your inclination. 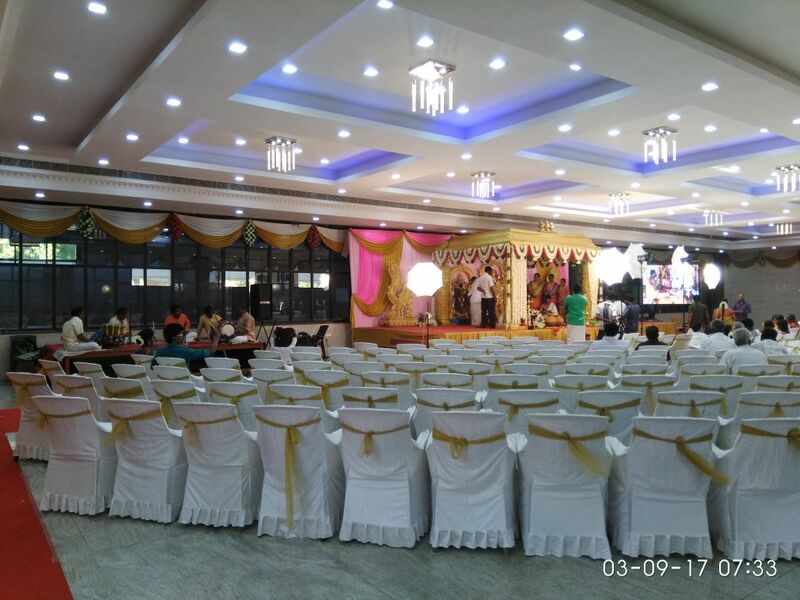 Picking the correct party halls setting for your occasion needs some cautious arranging and booking in purasawalkam. 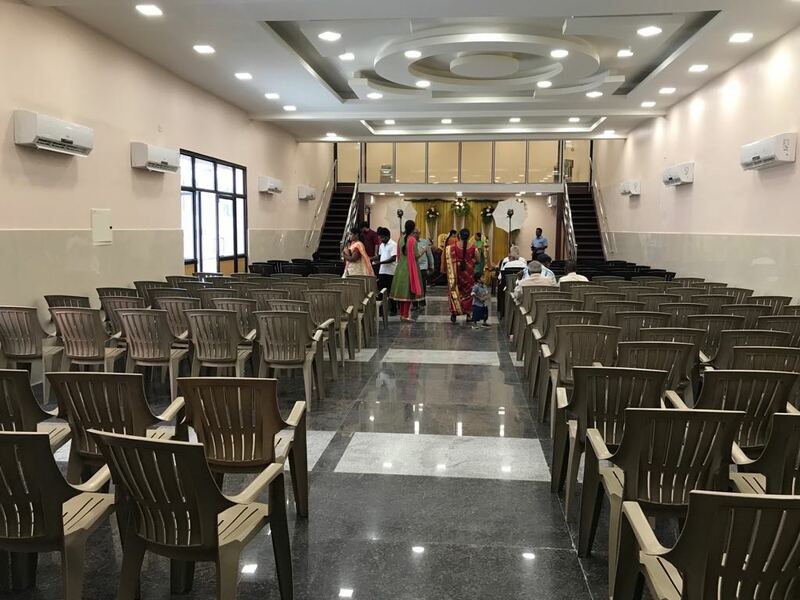 When exploring for the party halls it is prudent to get bookings ahead of time to ensure you get your favored date and time in party halls Aminjikarai. Many mini party halls in Aminjikarai are completely reserved for a long era ahead. Holding a year ahead of time is exceptionally average at this point. Look at on promos and rebates. A large number of the meal in party halls in Aminjikarai offer extraordinary bundles for customers to browse. The typical bundles incorporate providing food benefit, arranging help, coordinations, audiovisuals and others. Snatching such bundles will spare you a great deal of moment and unburden you from many stresses n party halls. Ask with the director whether they can give providing food benefits or not in the party halls. In the event that they give cooking, make a point to ask on their menu so you could pick appropriately. 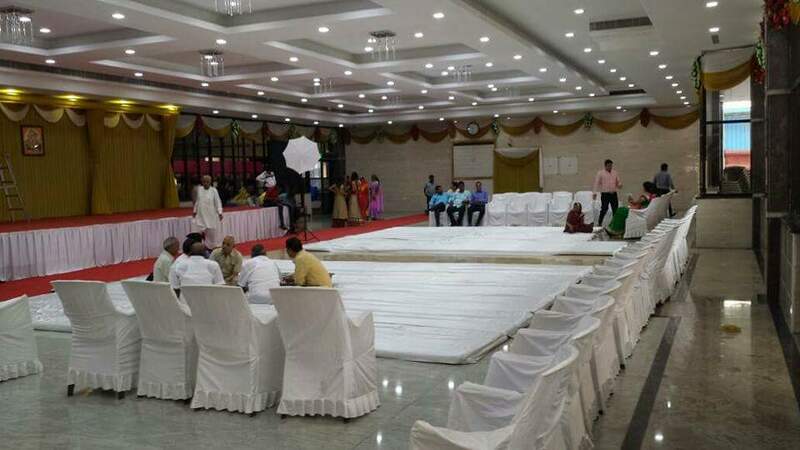 In the party halls event that on the off chance that you enlist your own, you might need to know whether there is any extra charge in utilizing the kitchen zone of the banquet party halls Aminjikarai. Likewise inquire as to whether you can include additional nourishment purchased outside of their administrations. Best of all you should actually visit the region of the mini party dinner halls including its different luxuries, for example, the restrooms, kitchen, feasting range and different regions which you will utilize. Examine the cleanliness and organization of the place. Does a visual visit before you sign the agreement? The party dinner halls can oblige more than 1000 visitors with its extensive event party halls amenities. The luxuries party halls gave are finished to an effortless occasion amenities. The party halls property highlights patios and chimney. Cooking administrations is likewise accessible with any decision of nearby and worldwide foods arranged by its reality class gourmet specialists. 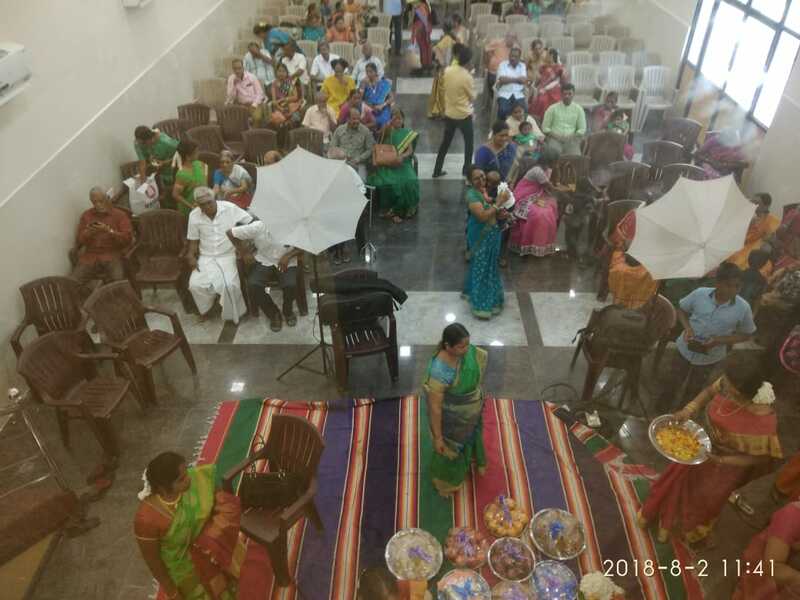 With regards to your occasions you may be occupied with a party halls possibilities for your engagement party, wedding function venues, wedding get-together, child shower, appropriation assembly, or retirement min party halls. So for any service or gathering incident party halls, it is energizing for the regarded visitor to discover that the setting can suit customization for the kind of occasion you'd jump at the chance to have on your extraordinary day. There can be subjects, assigned movement territories inside, and performers, on the off chance that you'd like. They come outfitted with a huge number of square feet for you and your visitors to move, eat, and mingle. For the greater excitement driven occurrence of a gathering or birthday party halls Aminjikarai, these venues amenities come furnished with lighting and sound frameworks too. 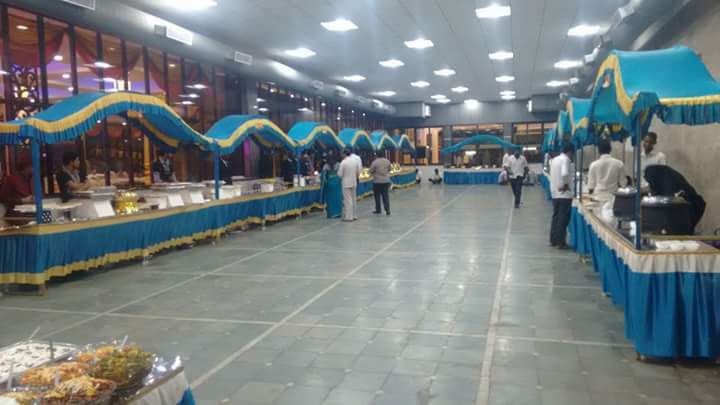 So whether you are having a medium size or a substantial victory bash this year, mini party halls Aminjikarai offer the lunch room, wet bar, move floor or stage for the point you've imagined for yourself or your friends and family. There are unlimited potential outcomes insofar as there is clear correspondence of the gear and set up that you require from the capacity room's administration and your party halls organizer. 1. How many Vehicles can park in the parking area? b) 200 two wheelers parking. 2. Is Party Halls fully AC? Yes the Marriage Halls equipped with full AC. 3. What is the Fee and what does that includes? We charge very normal cost compare to other party halls situated nearby. Please visit our party lobby to discuss in person to give you the special rate based on the availability. 4. Generator Facility available in the party halls? 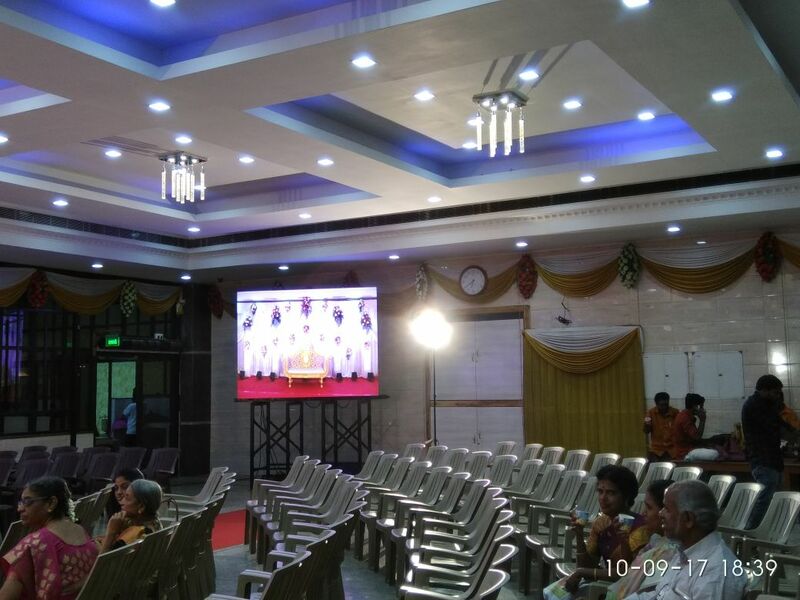 Yes We have high capacity Generator available to manage the entire party Halls. 5. Any area we won't have access to in party halls? We provide the full access for you to use the entire party halls.